It has been regarded as one of the finest cotton in the world because it is long and thin one by one, and has high strength. Among them, we use ultra fine thread No. 80 thread and it has a touch like silk. It has characteristics such as good touch, lightness, fit, breathability, quickness of drying. 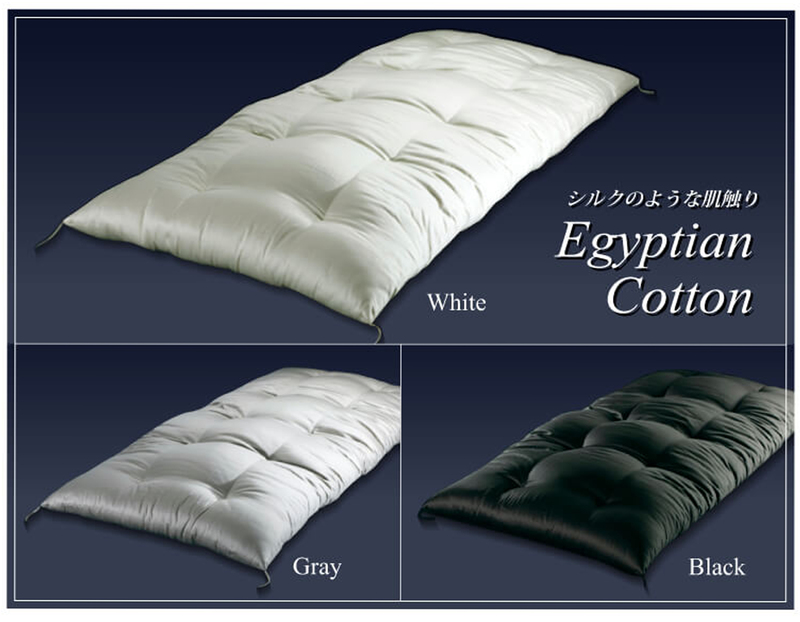 * It is the size of the fabric before putting cotton. The fabric size after putting in cotton is shortened by about 10 cm only by the amount of cotton swell. * These are samples. Shipping fee changes depending on the total weight of your orders and the place that you live. It is available to calculate total correct shipping fee in the page “cart” after you put all orders and your address in it.